Zynga CEO Mark Pincus says reports that he's trying to bully employees into giving back stock options are nothing but "hearsay and innuendo." Back in the early days of Zynga, before it became a casual gaming monster, employees were often given stock options in lieu of higher salaries that the company couldn't afford. It's a fairly common practice among start-ups and can be incredibly lucrative for employees who sign up early with companies that make it big. 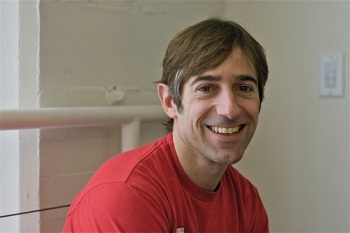 But Pincus developed "giver's remorse," according to the Wall Street Journal (via USA Today) because some long-time employees ended up with more shares than newer hires even though they actually contributed less to the overall success of the company, and how he's trying to strong-arm them into giving those stock options back. But in an internal memo obtained by Fortune, Pincus denied that was the case and said the story paints the company in a "false and skewed light." The allegations are "disappointing but... expected as we move towards becoming a public company." "We have nothing to hide in our past and present policies and I am proud of the ethical and fair way that we've built this company. As many of you have heard me say -- we're building a house that we want to live in," he wrote. "Being a meritocracy is one of our core values and it's on our walls. We believe that every employee deserves the same opportunity to lead. It's not about where or when you enter Zynga i'ts how far you can grow. This is what our culture of leveling up is all about and it's one of our coolest features." It's not exactly a surprise to see a CEO defend his company against unflattering commentary, but in this case it appears that there's a real basis for it. In a follow-up article, Fortune Senior Editor Dan Primack explained that while the Wall Street Journal may have had its facts correct, its conclusions were off-base. Most stock option offerings at Zynga, like at most other companies, vest over a four-year period, he explained, and when an employee leaves a company for whatever reason, unvested options simply disappear. But Pincus apparently doesn't like to fire people, even those who aren't living up to expectations. Instead, his preference is to move them elsewhere in the company where they will hopefully perform at a higher level and contribute more meaningfully. But because those positions are often lower on the food chain, Pincus wanted to reduce the number of unvested stock options held by these employees to reflect the change in status. The company could have handled the situation better, Primack wrote, but ultimately it's not nearly as big a deal as it has been made out to be. "The CEO is well within his rights to simply fire an under-performing employee (and recover unvested options). In fact, that's what happens at most companies," Primack wrote. "The difference at Zynga is that Pincus seems intent on retaining talent, even if that talent either didn't live up to initial expectations or didn't adequately match up to the changing needs of a fast-growing company." "What Zynga did may sound bad on newspaper," he added, "but is little more than morally-acceptable business as usual."